Rock ’n roll, motorcycles, and leather––the “ton-up boys” are back in Belstaff’s nostalgic Autumn/Winter 2015 menswear collection. 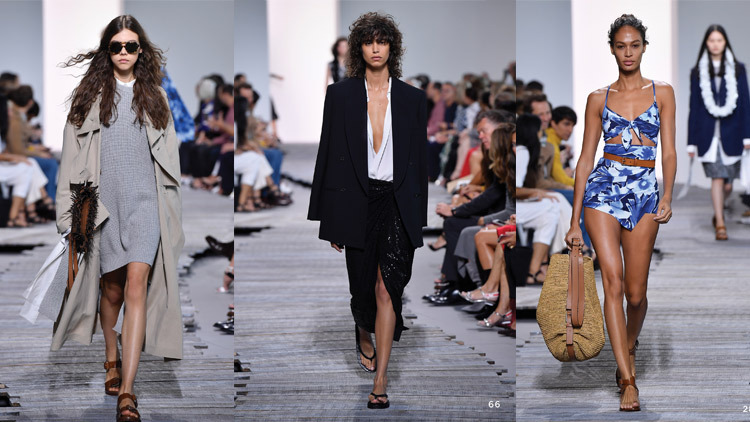 The British luxury brand’s latest line takes inspiration from the iconic rock subculture that started in the United Kingdom in the 1950s. 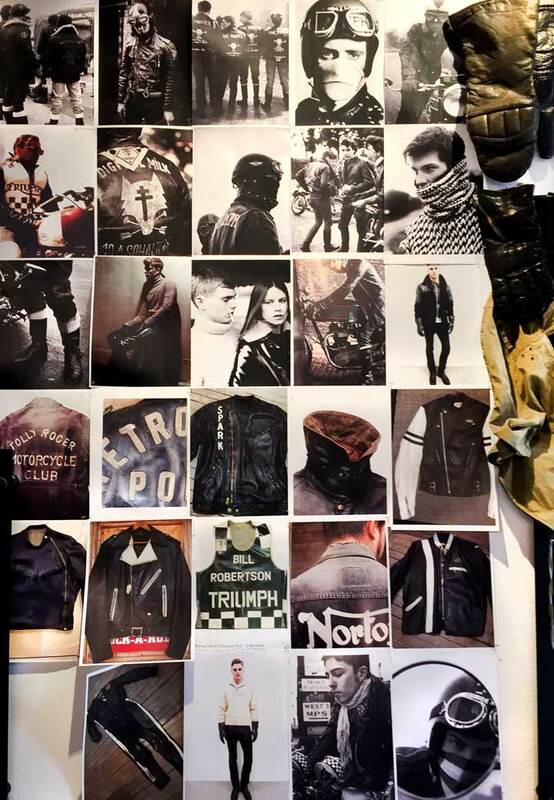 Although initially inspired by the Marlon Brando film The Wild One, the ton-up boys made the 50’s rocker trend uniquely British by adding elements like military surplus garments and wax cotton riding kits. The “ton-up boys’ of the 50’s got their name from their attempts to “do a ton,” or exceed 100mph on their custom motorcycles. They were fearless and reckless, and these qualities inspired Belstaff’s AW15 collection. The pieces reflect the strong, and distinctly masculine attitude of the time, but remain contemporary with the use of color blocking and bold checkerboard prints. Belstaff aptly presented its AW15 menswear collection in an underground car park opposite the Houses of Parliament in London. 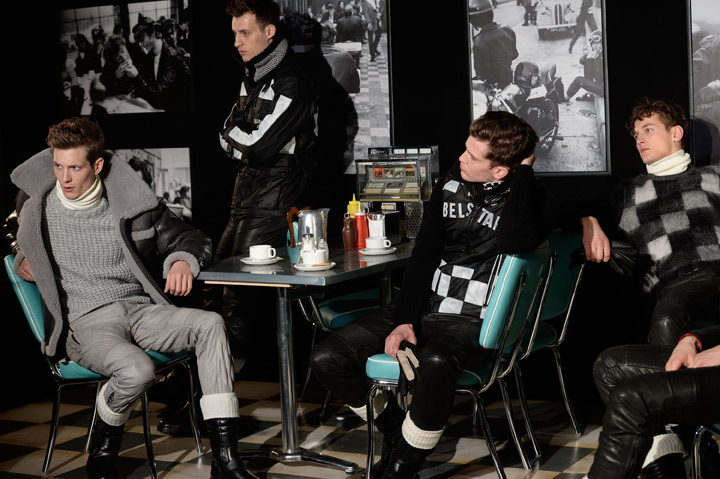 Belstaff’s choice of venue further reflected the collection’s vintage “biker” feel, as well as celebrated the brand’s homecoming to London. 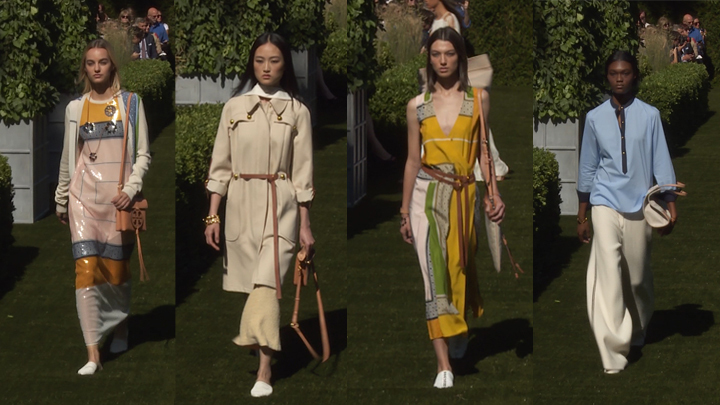 Check out the collection in this campaign video featuring British band, the Propellers.